I have a really extensive perfume collection, and love to choose a different scent each morning depending on my mood. As much as I love perfume, sometimes I just don’t fancy wearing a conventional fragrance which is where fragrance body mists come in. Body mists have come a long way, and So…? is a brand I used to wear in my teens when I was obsessed with their So…? Kiss Me fragrance – who wasn’t?! Miss So have four perfume mists, and four eau fraiche fragrances in four different scents; Love Potion (wild berries and jasmine), Day Dream (white chocolate and pomegranate), Midnight Magic (oriental vanilla and praline) and Secret Crush (peony and musk). To be honest, all four scents sounded divine but as I hadn’t tried anything under the Miss So..? umbrella, I opted for the Miss So Love Potion Fragrance Mist which is £5.99 for 140ml whilst the eau fraiche fragrances are £7.99 for 50ml. 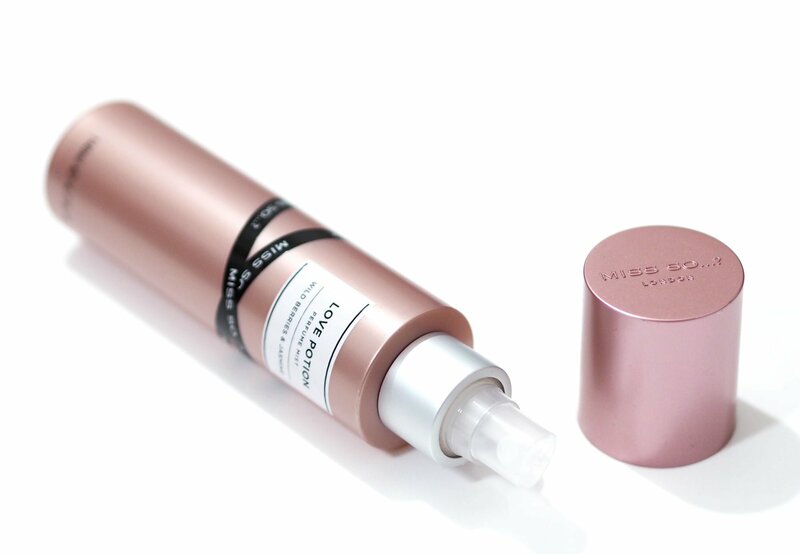 So recommend applying their eau fraiche formula in the morning at home, and then carrying your fragrance mist to refresh your fragrance during the day. 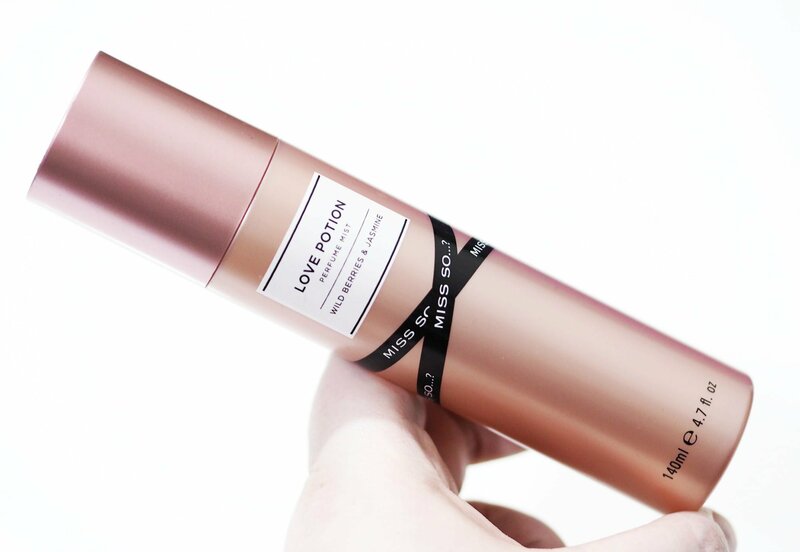 The Miss So Love Potion Fragrance Mist instantly reminded me of one of my favourite perfumes, and that’s YSL Black Opium and I think that it might be intentional as the notes are very similar too. For a body mist, it has a lovely strong scent which lasts on the skin and clothing very well. I think the Miss So…? sub-brand is their more grown up, more sophisticated scents and if Love Potion is anything to go by, I imagine the other three fragrances within the collection being equally lovely. 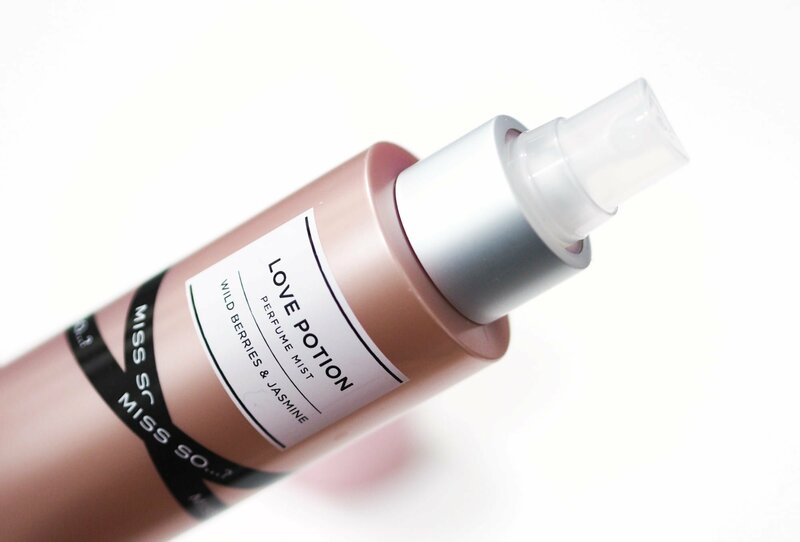 I’d love to try the Eau Fraiche formula in one of the other scents, but if like me, you like a body mist for when you want a lighter fragrance, the Miss So Love Potion Fragrance Mist is well worth a spritz next time you’re in Superdrug. Have you tried anything from the Miss So…? sub brand yet?